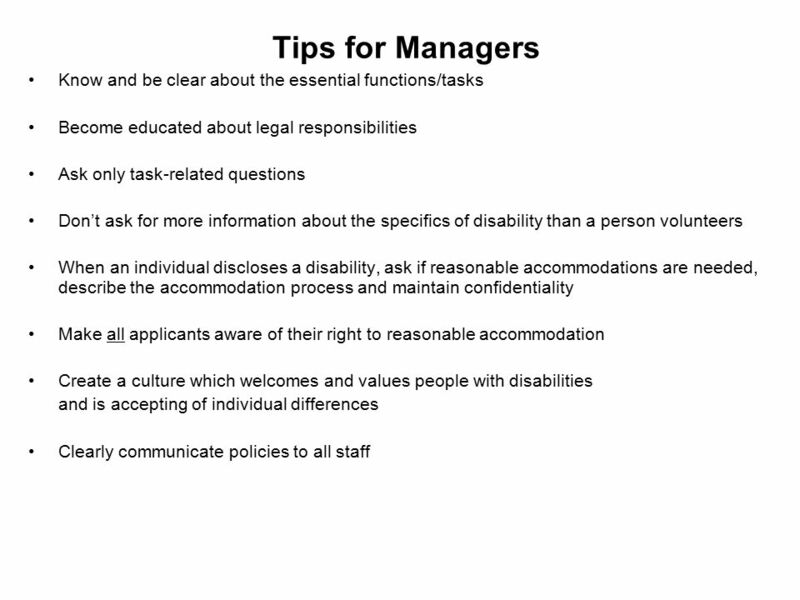 Laws that Guide the Inclusion of People with Disabilities National Service Inclusion Project. 3 We will: 1.Understand factors that are conducive to a feeling of belonging and/or discomfort for anyone. 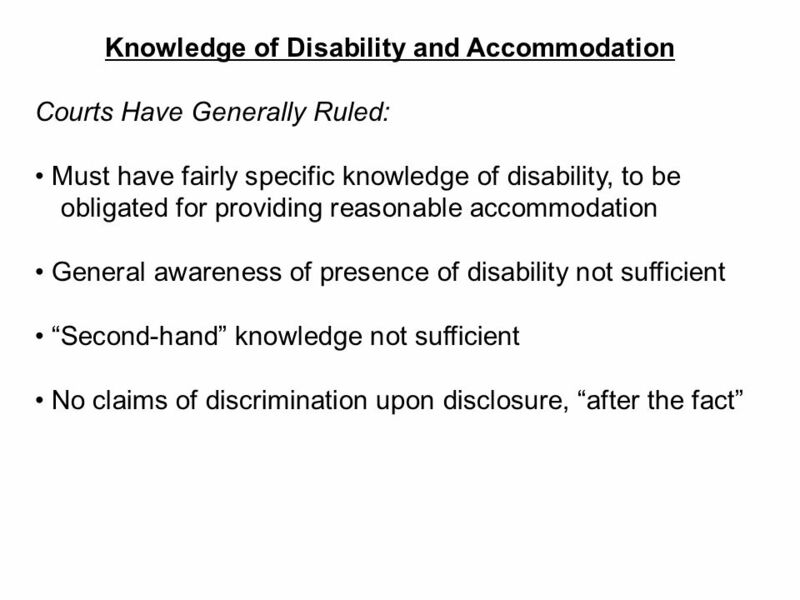 2.Demonstrate understanding of disclosure and self-identification of a disability. 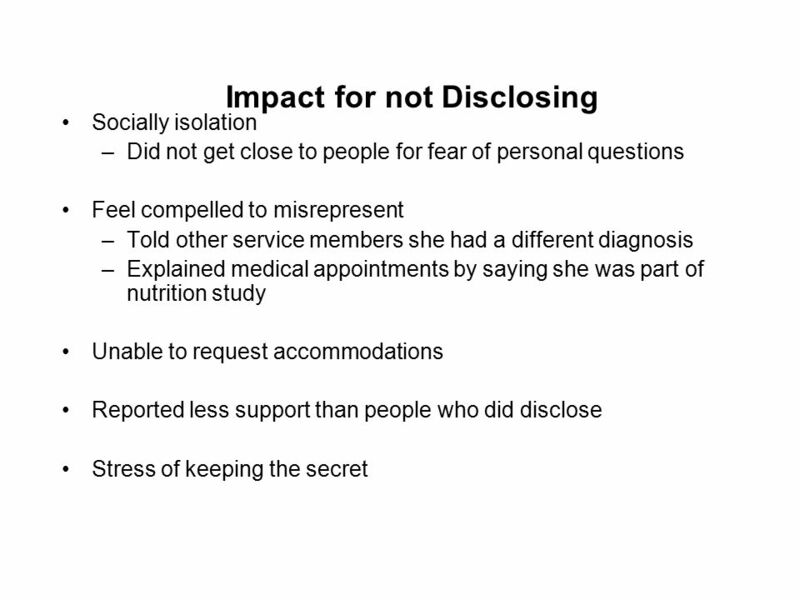 3.Understand the difference between individual disclosure and measurement (outcomes). 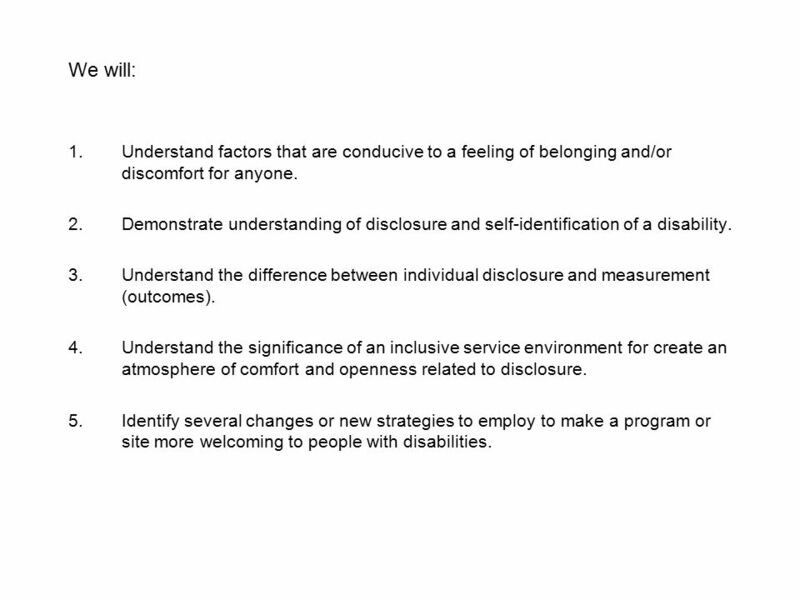 4.Understand the significance of an inclusive service environment for create an atmosphere of comfort and openness related to disclosure. 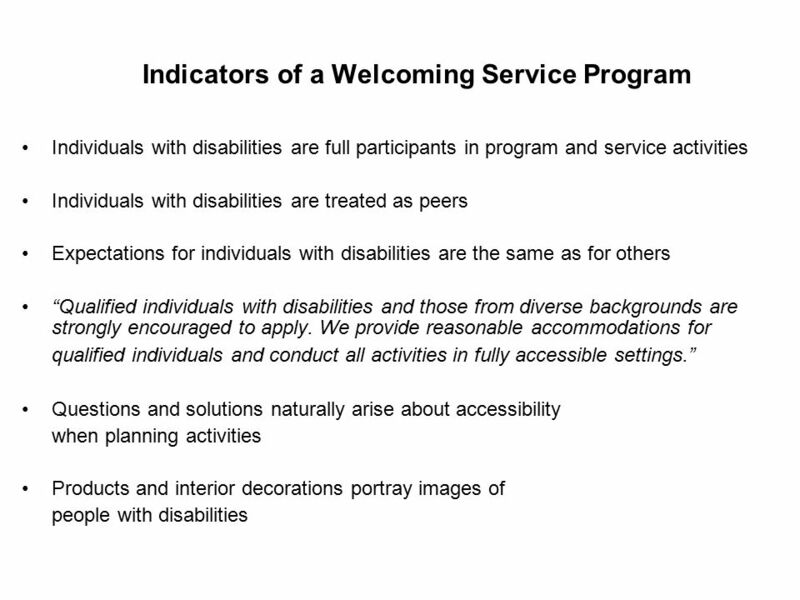 5.Identify several changes or new strategies to employ to make a program or site more welcoming to people with disabilities. 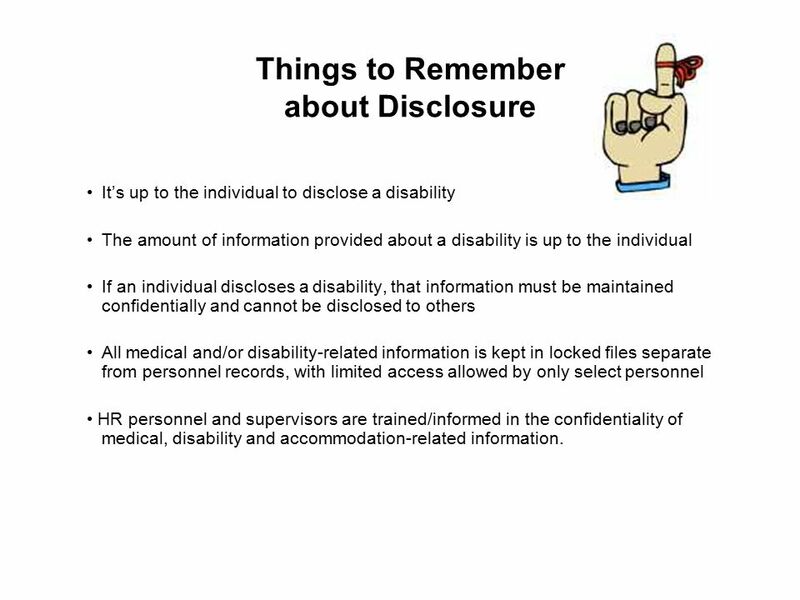 8 Things to Remember about Disclosure It’s up to the individual to disclose a disability The amount of information provided about a disability is up to the individual If an individual discloses a disability, that information must be maintained confidentially and cannot be disclosed to others All medical and/or disability-related information is kept in locked files separate from personnel records, with limited access allowed by only select personnel HR personnel and supervisors are trained/informed in the confidentiality of medical, disability and accommodation-related information. 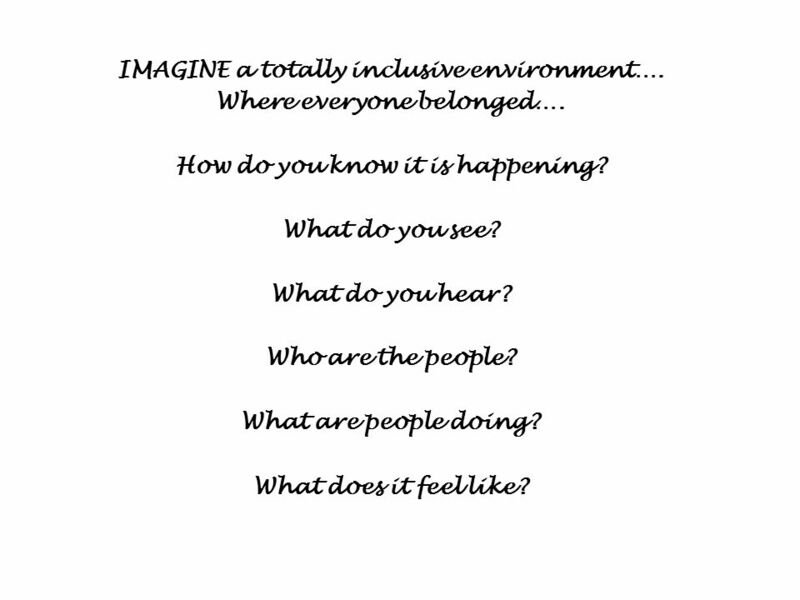 9 IMAGINE a totally inclusive environment…. Where everyone belonged…. How do you know it is happening? What do you see? What do you hear? Who are the people? What are people doing? What does it feel like? 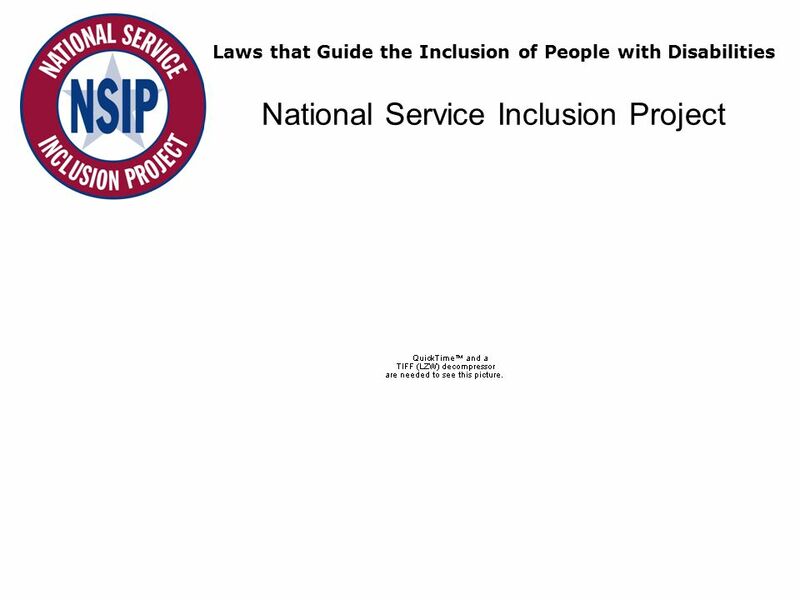 Download ppt "Laws that Guide the Inclusion of People with Disabilities National Service Inclusion Project." 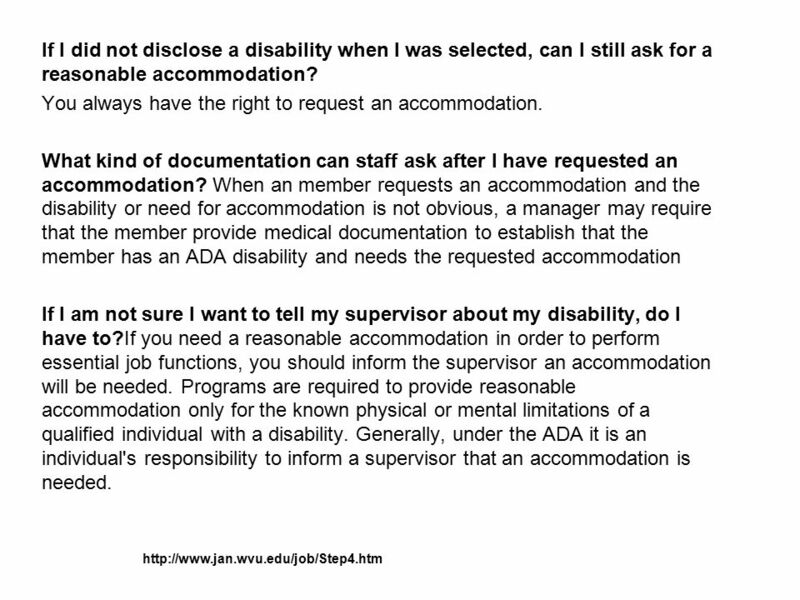 The Top 5 Interview Questions For Employers To Ask Dianne Shaddock. Certificate IV in Training and Assessment (TAA) Welcome to the INPUT DAY for. 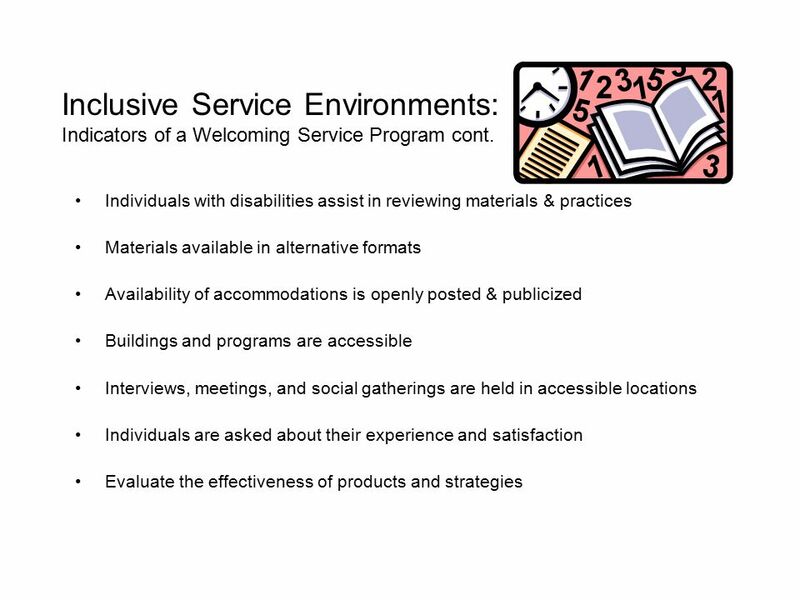 Building an Inclusive Volunteer Program. 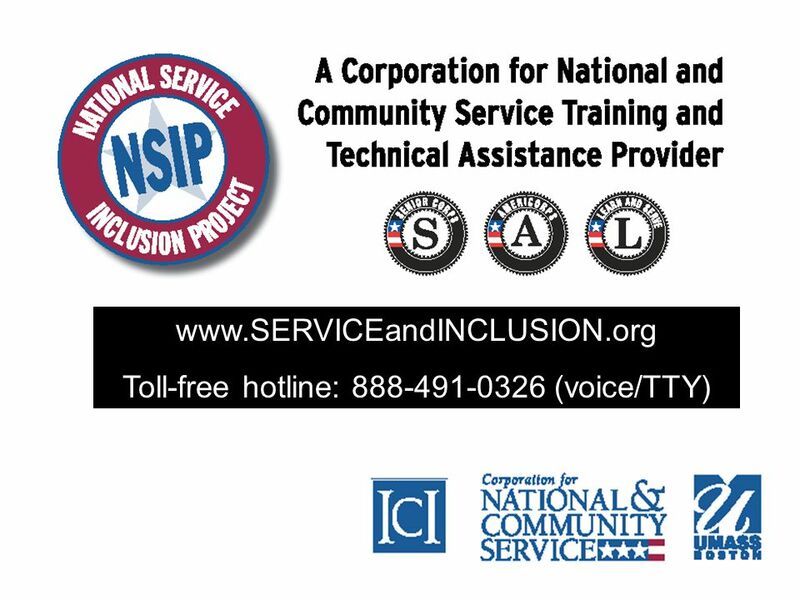 AmeriCorps Created by President Clinton in 1993; expanded by President Bush National service organization Emphasizes. Documenting Efforts to Ensure Access. ADA Statistical Data Summary. Power Me Up! A CHHA-NL Youth Group Presentation. Speakers  Erika Breen  Olivia Heaney. Living with HIV Know Your Rights Accommodation in the workplace The information contained in this publication is information about the law, but it is not. The Top 5 Mistakes Supervisors Make …and other important HR information. Encouraging Self Disclosure in National Service August 26, 2010 We will begin shortly! Please feel free to say hello by typing in the text box. A DISCUSSION TO AID IN THE PROCESS OF DISCLOSURE. MODULE TWO Ethical and Legal Issues. Objectives: Particpants will: Understand privacy, confidentiality and ethics as they relate to being a volunteer.